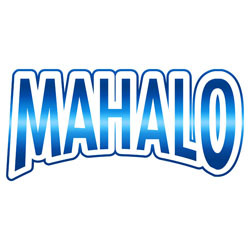 Mahalo brand is the world's best-known ukulele brand with a huge variety of good quality models. Mahalo offers a comprehensive range from the best-selling entry-level coloured ukuleles through to high quality ukuleles in soprano, tenor and baritone versions. With consistently high standards of construction and reliable geared machine heads you can count on Mahalo for quality and affordable prices. Start playing with a coloured soprano ukulele, a popular entry level instrument suitable for beginners of any age, with quality, reliable geared machine heads for easy tuning and a good sound. Or choose one of the Java ukuleles with geared machine heads, brass frets and Aquila strings. Mahalo also has plenty of fun designs to choose from so you can bring out the true Hawaiian in your playing, or pick an electro model that can be plugged into a small amp. If your ukulele playing is really taking off, Mahalo has better quality models to choose from such as the Mahalo 2016K deluxe model with koa back and sides and abalone inlays.